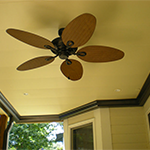 Summer is here and that means your deck is going to see a lot more use. If your boring old deck is in need of a major face-lift this summer, here are some improvements you can make to liven up your deck this summer. If your deck is in desperately in need of some character, then a privacy lattice would be a great addition to your deck. Not only are privacy lattices attractive to look at, they are simple and easy to install and are perfect for finishing off decks and crawl spaces or creating privacy. Lattices are practical and appealing to look at, making them an ideal addition to your home. A plant border is a great addition that will add a touch of nature and a pop of color to your deck. A thriving plant border create a seamless transition from your deck to your home garden and add greatly to your deck’s visual appeal. 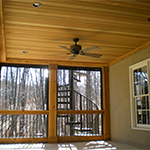 For over 20 years, Rainway has created exceptional under deck spaces in the Atlanta Metro Area. 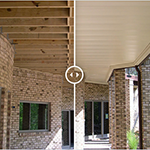 We provide our customers with superior under deck systems a lifetime warranty that the other companies can’t match. 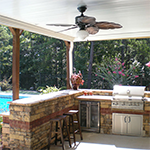 If you are interested in having an under deck installed at your home, then give RainAway a call today at (770) 928-7246.